For a girl, turning 16 is a very important milestone that is worth celebrating. Most girls and their parents will dream of throwing a sweet 16 party to mark the coming of age of new responsibilities, more maturity, and coming closer to adulthood. Whether it is a simple gathering or a lavish sweet 16 party, celebrating this special occasion can mark the girl’s life forever. The usual cost of a sweet 16 party is $300 to $25,000. The lower end of the spectrum refers to informal gatherings like sleepovers and karaoke nights. The higher end, on the other hand, refers to moderate parties such as a formal ball. The price includes foods, decorations, entertainment, party favors, dress, and other party essentials. Type of party. What kind of sweet 16 party are you trying to host? The kind of party you prepare will basically determine party costs. For instance, a casual sleepover party can cost around $300 to $500 only. This price includes sandwiches, cake, breakfast for the next morning, games, and prizes that are good for 20 people. On the other hand, hosting a formal ball can cost $10,000 to $25,000 or even more. This price includes catering, invitations, dress, entertainment, party favors, and decorations good for 100 or more guests. There are even high-end sweet 16 birthday parties that can cost as much as $200,000 or even more. Number of guests. Like all other parties, the more guests you have in attendance, the more expensive the overall expenses will be. When speaking of food alone, formal dinners usually cost $50 to $150 per guest. If you have 50 guests, you can expect to pay $2,500 to $7,500 on food alone. On the other hand, if you have 100 guests, you’ll spend $5,000 to $15,000 on catering alone. This is without mentioning yet that the more guests you have, the more invitations you need and the bigger the venue you need. Food. The kind of food you intend to serve during the party will greatly affect the overall cost of the sweet 16 party. For instance, if you serve snacks, you’ll end up spending less to feed your guests as compared to serving lunch or dinner. Moreover, serving food buffet style will be cheaper as compared to a seat-in dinner. Cake. The cake is oftentimes a centerpiece to any sweet 16 party. Indeed, a lot of hosts invest on a well-decorated cake for the party. The more layers and the more intricate the design of the cake is, the more expensive it goes. Venue. The venue can be free of charge if you host the sweet 16 party at home. However, you may also spend hourly rentals on restaurants or bars for the party. There are even parties that are held on a yacht or a boat, which basically increases the total cost of throwing the party. The same is true for renting a movie theater, a resort, or a villa by the beach. Some sweet 16 parties are held in hotels and can be as extravagant as a lavish wedding reception. Decorations. Depending on the theme of the sweet 16 party, you may spend as little as $20 to as much as $200 or even more for the decorations. Formal gatherings may require balloons, fresh flowers, centerpieces, and other decors, which can all add up to the cost of the party. Some informal parties may require minimal decorations such as a few balloons and a personalized banner only. Entertainment. For more formal events, entertainment is usually essential. Some hire live bands while others go for a professional DJ. For uniquely-themed sweet 16 parties, entertainment costs may include hiring karaoke, video games, and the like. Invitations. Sweet 16 party invitations can range from $1 to $3 per guest depending on the size and the design of the card. The number of cards you need can also affect pricing. Expect to spend extra for your gift for the birthday celebrant. Postage of the invitations to guests will also be extra. Hiring a party planner will also be an added expense in your part. 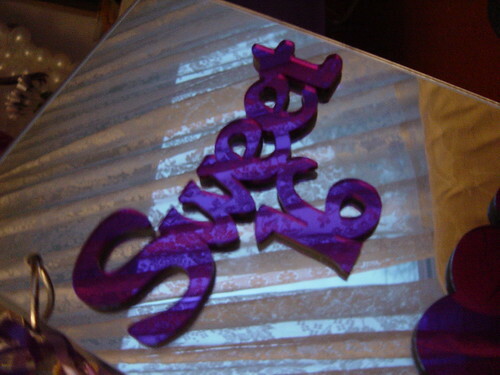 Know how much your budget is for the sweet 16 party. It is important that you set your budget early on so you can plan the party better. Tell your daughter about this budget so both of you know your limitations when planning the party. Talk with your daughter about the kind of party she wants. Since it is her birthday, you might as well get her insight about the party she feels like having. You can talk about party ideas and let her pick the one she wants. However, remind her of your budget so she does not end up picking something that your budget cannot afford. Complete the guest list as easily as possible. This will guide you through closing deals with the caterer, the venue, and other details of the sweet 16 party. Shop for a sweet 16 venue if you are not doing it at home. Look at different options and compare prices as well as the convenience being offered by the venue. Reserve the venue of your choice as early as possible so you can set up your invitations and save the date cards. If the date of the party is at a busy time of the year, send save the date cards or emails to your guests to ensure that they’ll reserve the date for you. Depending on the kind of party you are hosting, finalize your menu. If you are planning to cook the food yourself, write down your menu and create a budget. Then, set a date near the party to buy things for the menu. On the other hand, if you are hiring a caterer, shop around for different vendors. Schedule a taste test before finalizing the menu. Once you have chosen a caterer, make sure to get a written contract detailing the menu and a lot of other important information. Shop around for other vendors such as photographers, entertainment, and the like. Get price quotes from different vendors and choose one not only based on price but as well as the inclusions in the package and the reputation of the vendor. Set the itinerary of the party, especially if you have not hired a party planner. Know what time the food will be served and a lot of other details such as cutting the cake, starting the dance, and starting the games or entertainment. Chocolate party. There really is nothing sweeter to help celebrate a sweet 16 party than chocolates. You can consider chocolate-themed foods, invitations, activities, and even activities. You can have a chocolate fountain, chocolate cake, and a lot of other sweet desserts. Bonfire party. If you have a spacious backyard, a bonfire party is always a good sweet 16 treat. Your girl can invite her friends and you can treat them with hotdogs and s’mores. Murder mystery party. You can find murder mystery party kits these days that you can use to provide great adventure and entertainment on a sweet 16 party. Kits are inexpensive and for sure, the teens will have fun solving crimes and dressing in character. Desert island party. Teens will for sure enjoy a party that is based on the popular survival game show. Prepare various challenges such as obstacle courses and relays. You can have a luau theme in line with this party idea. Craft party. If your teen has an artistic flare, a craft party is a good choice. Activities like candle making and tie-dying will for sure be a source of fun and entertainment. Hollywood party. If your teen loves movies, go for a Hollywood-inspired party. You may need to rent an LCD projector and play a movie of your teen’s choice. You can decorate the venue like a theater to give them the real movie theater ambiance. You can even ask guests to dress like their most favorite movie characters. Extreme party. If your teen likes extreme sports, you may want to treat her and her friends to activities like bungee jumping, rock climbing, paintball, laser tag, hot air balloons, and horseback riding. Beach or campout party. Why not go to the beach or up the mountains for an overnight campout? You can invite your girl’s friends and their parents and take along games, campfire, food, and stories. Pool party. If you have a pool at home, a pool party is a great idea, especially if you have an under-the-sea or luau theme. If you don’t have a pool at home, consider renting out an indoor or outdoor pool. Amusement park. Bring the teens to an amusement or water park and allow them to enjoy lots of rides and foods. Dance party. Book a bar for a private dance party. You may check out special rates for large parties. Spa party. Invite your girl’s closest friends and take them to a spa and let them enjoy manicures, pedicures, massage, hairstyling, and makeup. Or, you can hire spa professionals to come to your home for an all-girl spa party.